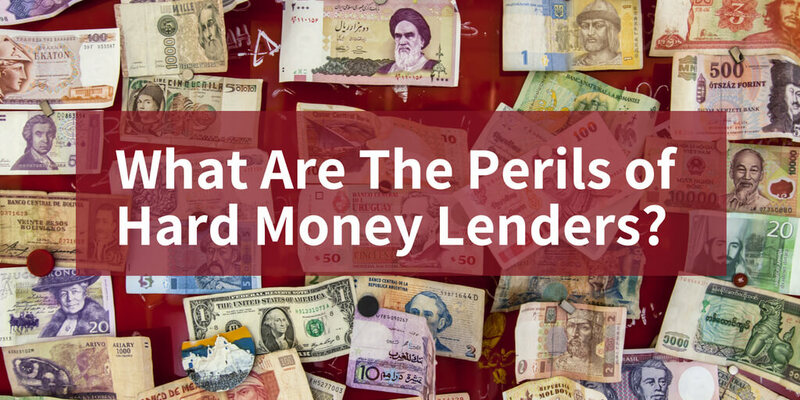 What Are The Perils of Hard Money Lenders? Hard money lenders are increasingly populating our communities seeking to exploit the unfortunate void left by banks for lending, especially mortgages. Hard money lenders could be individuals or businesses charging relatively higher than market interest rates for their services or products. Let us further familiarize ourselves with such group and exercise extra vigilance in dealing with them and intelligently eschew their overtures. Hard money lenders could be ordinary people and businesses tapping into their retirements, 401Ks and other savings to supplant banks. Hard money lenders charge relatively extremely high interest rates. Brokers find or know hard money lenders. The target finds or gets introduced to such brokers. The brokers introduce such targets to hard money lenders. If the target eds up borrowing from the hard money lender, the broker earns a commission and even charge fees and points.The target can then borrow a loan with high interest rates for a short term from the hard money lender. Hard money lenders do not care about the borrower’s credit score and their documented income. Their focus, instead, is on the existing equity in the asset or loan to value ratios. While banks lend as much as 80% of home value, hard money lenders lend up to 50% or rarely up to 70%. This means if the borrower defaults on the loan, they could easily foreclose on the asset and obtain their money. Hence, it behooves potential borrowers to understand the terms of such foreclosure, even though, hard money lenders maybe subject to Truth In Lending Act. Hard money lending could be even more perilous since there is no bureaucracy and the loan could be approved in a few days. Such short time for deliberation, calculation and deal evaluation could be tragic as the borrower does not have time to ascertain what the terms, conditions and penalties are of such high interest loan. Hard money lending could be aptly analogized to sub-prime mortgage debacle our economy is still reeling from. In fact, in addition to the insignificance of credit scores and borrower’s ability to pay down the loan or document their ability to continue payments, hard money lending propagates balloon loan payments. Balloon loans are, often, structured such that borrowers make relatively low monthly payments throughout the loan and must come up with the bulk of the loan at the end of the term loan and pay it off. Hard money lenders assert borrower, to eschew foreclosure, could flip the property, obtain a traditional loan or extend the hard money loan. Theses assertions are untenable on their own grounds. First, such hard money loans are perilous in and of themselves. Second, if such borrowers could have obtained traditional loans from banks, they would not have intelligently approached the hard money lenders. Third, the real estate market is still plummeting and not recovering for any flipping in time to ensure the hard money borrower could reasonably eschew foreclosure. ‹ What Does Literary Rights Option and Purchase Agreement for Television Encompass?